A couple of friends brought me some wild persimmons. I decided another post about the fall fruit was in order. 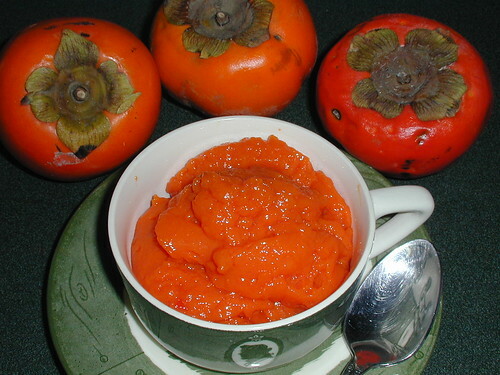 I’ll compare the wild persimmons with the fuyus from Dario as well as adding a note about persimmon pudding. This picture shows how small the wild persimmons are alongside the fuyus. The first wild persimmon I ate had a total of two seeds. They are quite large in relation to the size of the persimmon itself. That was the smallest number of seeds in the wild ones. Another one had six seeds. In a fruit that size, it didn’t leave a lot of flesh to eat. 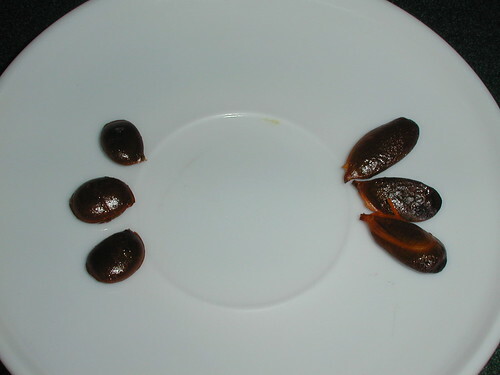 The wild persimmon seeds are on the left. 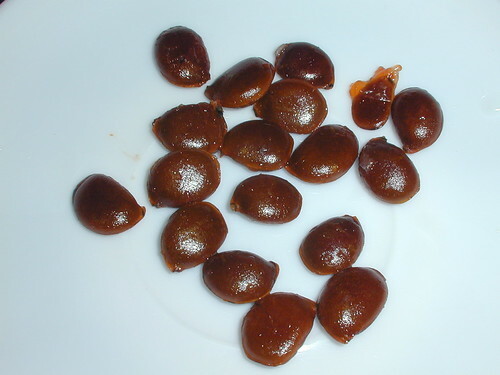 The fuyu seeds are on the right. As you can see, there’s lots more fruit in relation to seeds with the fuyu. 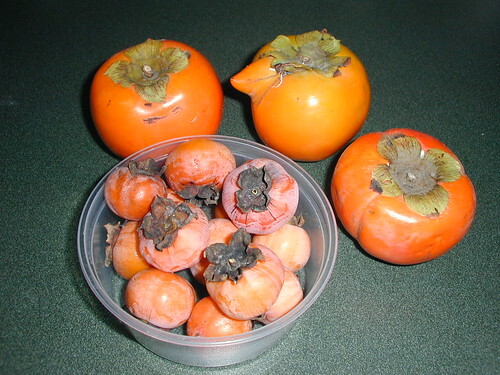 Here are some fuyus with the persimmons brought to me a couple of days after the others. They were picked off the tree and were still hard. I haven’t gotten up enough nerve to try them yet. The fuyu in the middle looks like it’s talking to the others about those wild persimmons. I had to laugh when I took that one out of the box. I take my entertainment where I can get it. This is a bowl of peeled, seeded, and sectioned fuyus ready to eat. Makes me hungry to look at it! 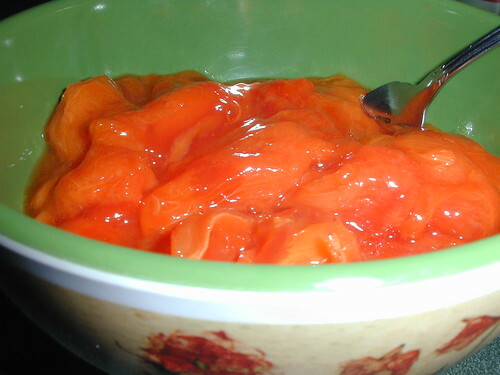 Last year, my friend Shari told me she leaves the peeling on her persimmons when she makes pudding. I tried it once but was turned off by the gritty texture. Now that I have a VitaMix, I decided to try it again. All I did was take the caps off, trim any blemishes and remove the seeds before putting them in the container. Oh, I added just a dash of nutmeg. Another nice addition is a good quality pumpkin pie spice. before I put it in a cup to serve myself. Leaving the skins on made the mixture very thick, like pie filling rather than pudding. There was no grittiness this time, either. No more eating the skins by themselves or discarding them! I’ll have to have this again soon. I found this fruit at our RV ranch here in Jacksboro, TX. The tree looks very nice but until I saw your website I was unsure of what I have. The fruit is currently yellow but some are turning orange. I noticed there are more of these trees are popping up around it, the seeds last year must have reproduced new plants. I am glad to see that they are safe to eat. My grandchildren and guests love to pick the pears on the ranch to eat, now there is another option. Thanks for the help and pictures you have to verify the new FIND! Are they the wild variety or Fuyus? Lucky you if they are Fuyus! Make sure you wait for them to fall off the tree. UNRIPE persimmons are terrible. I actually like the wild ones waaaaay mor than the fuyus, they taste sort of the same, but much, much, much richer, and I think sweeter. The fuyus you could compare to other fruit more easily in texture and taste (and size of course) but I find that, when fully ripe, and even though they look horrible, the wild variety tastes like a pie filling! I’ve never quite gotten the same feel from fuyus. Anyways, love the idea of just removing the seeds and blending! I’ve been pushing my wild ones through a colander with a banana masher and it takes forever. To each her own, Maggie! The Fuyus are never astringent but I’ve always been hard pressed to find wild ones that didn’t make the inside of my mouth feel furry. I still haven’t been able to get in touch with Dario this year so my Fuyus may have to come from the local stores and they aren’t nearly as good. I just found a wild persimmon tree, in the tree lawn of a city street. I felt like i had hit the jackpot! But, i wanted to make sure before I (washed one and) popped one in my mouth. Looks like i’m good to go, just gonna watch out for seeds! You are so lucky! I hope it isn’t a busy street with lots of exhaust. 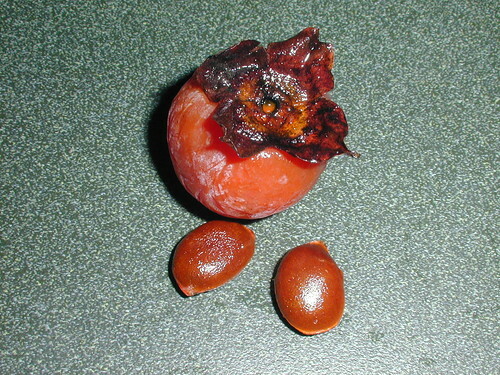 Today I bought 14 persimmons from two different stores, one of the deep red colored persimmons had a seed in it! 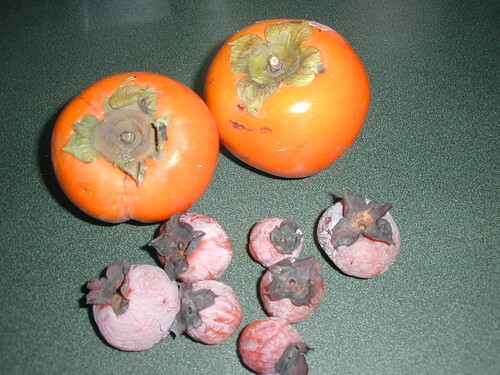 (oblong & plump looking similar to the fuyu’s seed) the persimmon was not the round variety, it was oblong, and more fruit than seed, most did not have seeds. 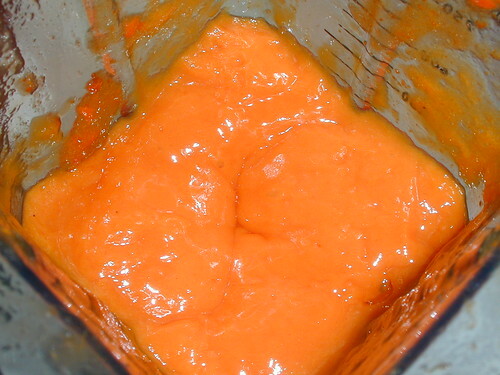 I’m making persimmon butter, so I peeled the persimmons, and ate the skin. I’m looking forward to planting my seed, I do know that chances for it to produce fruit are low, as persimmons have both male & female trees, and most seeds grow into male trees with no fruit. I have yet to get my first persimmon. I’m so jealous!! with a wild food gatherer who had lived in this area and told me of some specific trees he knew about (he also pointed me to the local wild pawpaws, which I’ve also gathered). I’ve never tasted the cultivated varieties of persimmons as they are outrageously expensive in the local stores. In our area there seems to be a bumper crop this year and I’ve been harvesting them since mid September as the various trees ripened at different times. I’ve frozen about 2 quarts of pulp that I extracted the hard way using an ordinary plastic colander and a pint beer glass for a pestle. I’ve made persimmon pudding and cookies that turned out quite good, but I also enjoy popping one in my mouth (and spitting out the seeds and most of the skin) or getting fancy and topping one with Nutella and whipped cream beforehand. You are a most fortunate person. 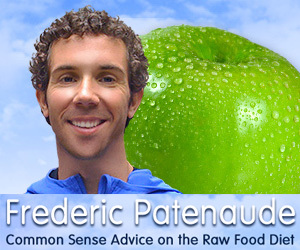 I would love to be able to interact with someone who is knowledgeable about wild foods. One of my forum members gathers wild persies and freezes them whole. I still haven’t had a persimmon this season. I’m beginning to think it will be a fruitless year as far as they are concerned. You gather pawpaws, too? I’ve never had a pawpaw. An Aussie member of the forum has access to a lot of them. I’d love to try one and find out what I’ve been missing all these years. I believe your Aussie friend is referring to the papaya fruit (Carica papaya), which is called pawpaw in the land of Oz. What I’ve picked is Asimina triloba, the largest fruit indigenous to North America, found growing throughout the Eastern states. They taste somewhat like a cross between mango and banana. I’m sure there must be somewhere in Tennessee where they are found, since the Univ. of Tennessee does research on them. There is a wealth of information online, but here is a site the wild food gatherer (whom I mentioned in my previous post) has put online: http://www.tux.org/~tbr/pawpaws/. If you cannot find them in Tennessee during harvest season (August to October), he recommends mail ordering from Integration Acres in Albany, OH. That might be what it is. I’ll have to check with her. The wild persimmons just started ripening in Northeast Texas. Tips for harvesting…..
Bring something to drink/wash your mouth out when you inevitably bite into an unripe persimmon! Gently shake a branch and watch for the ones that drop, those should be 95% -100% ripe. Also looking on the ground might yield some still good fruits. Don’t stack too many in one bag/container as they will squish the lower ones after maybe a pound. To eat them i just remove the calyx/rose hip thingy and chew them up whole and spit the seeds into a cup to save for later plantings. Thanks, Ranger Mike, for the tips. I’ll have to remember them if I come across a persimmon tree. I believe some grow in the valley. Mitchell Indiana has the Persimmon Festival every fall. A great celebration of the native fruit. Do a search and check it out. I always wait for them to fall from the tree to ensure ripeness. Never a good thing to pick them off the tree or shake tne tree. The large persimmons in grocery stores are a disapointment! I’ll bet the festival is fun. You must not have gotten any good persimmons in your stores. Good fuyus are wonderful and a really ripe hachiya is super yummy. 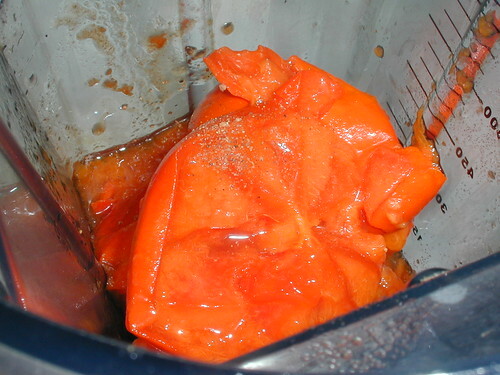 Run the wild persimmons through a food mill to strain out the seeds. Then be sure not to overspice your pudding. You want to taste wild persimmon; not cinnamon. Fuyus are wonderful and have their uses but cannot match wild indigenous persimmons in intensity of flavor. If I can get my hands on some, I’ll remember that. Thanks!